Tim's strategic, creative and entrepreneurial vision has helped many SCC clients achieve success through the years. It's also helped guide SCC to its coming of age as a highly-skilled, integrated multi-platform brand champion. Tim has always been a challenger of the status quo, myopic thinking and the shackles of legacy. He's an inventive change agent with strategic business instincts and an eye for big ideas. Whether weighing in on a business plan, creative campaign, sponsorship deal, merger, acquisition, whatever, Tim will likely add value to the equation. His career started on the account management side of the agency business before switching to the creative side as a copywriter at Bozell & Jacobs in 1986. 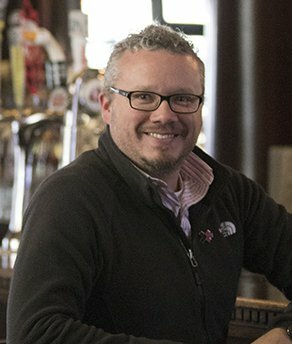 In 1989, together with his good friend and college roommate, the late Mark Schafer, they started Schafer Condon in Condon's River North apartment. Tim has a BA in Broadcasting & Film from the University of Iowa. He has been very active in SCC's pro bono efforts for local, regional and national organizations and was Chairman of the 4A's Chicago Council for five years. Vision, focus, and c-suite marketing, advertising, CPG, retail and brand expertise. With nearly four decades of success (client and agency side) across categories and business models, David is an invaluable partner to clients and a leader of teams. Starting at Leo Burnett, he became a senior executive and partner – leading accounts including McDonald's, Walt Disney and Miller Brewing. He also worked with CPG clients including Kraft, Nestlé and Procter & Gamble. David left Burnett to join Sears, Roebuck and Co. during a period of transformation. As the top marketing executive and a Board-elected officer reporting directly to the Chairman and CEO, David managed the largest retail-marketing budget and organization in the U.S. 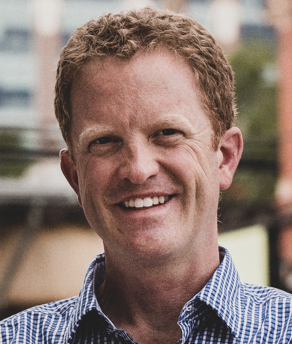 He left Sears to join Potbelly Sandwich Works as CMO, helping lead their pre-IPO expansion. 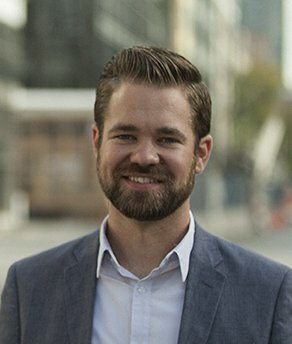 David has a BA in English Literature from Amherst College and an MBA in Marketing and Finance from The Kellogg Graduate School of Management at Northwestern University. He serves as Chairman of the Governing Board of Gilda's Club Chicago and was honored with the 2014 American Advertising Federation Silver Medal Award for outstanding achievement in Advertising. David is a singer/drummer double threat and an avid golfer. For Gail, it’s all about people and the food they love. From the start of her career, Gail has focused on foodculture and helping food & beverage brands lead the conversation. At Ketchum Chicago, she was Senior Vice President, Management Supervisor, working on Quaker Oats, Campbell's and Nestlé brands. In 1994, after a call from a couple of guys with a start-up called Schafer Condon, she made the entrepreneurial leap and championed the agency’s food & beverage practice. With Gail's human-centric management style and strategic vision, the agency continued to grow and, in 1998, became Schafer Condon Carter. Committed to the growth of our ‘humans,’ Gail leads all agency development programs. 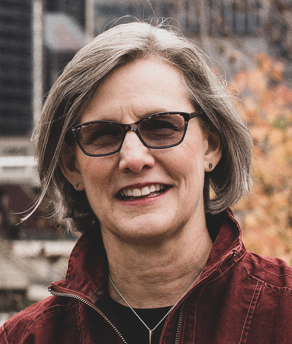 One of the industry's most respected minds in food & beverage marketing, Gail is a former board member of the Women’s Foodservice Forum and is deeply involved in the restaurant industry. Over a glass of wine, ask her about her stint as a college radio DJ. And about her passion for the Porsche 911. 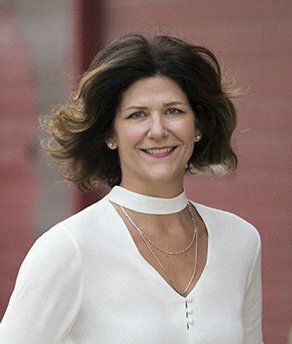 Suzanne brings incredible energy, enthusiasm and a uniquely intellectual and creative skill-set to brand and creative strategy at SCC. With a rare combination of right brain/left brain firepower seemingly built expressly for the business of growing brands, her contextual understanding of culture, desire, the nuances of human behavior – and what it takes to change behavior – has been critical to the development of powerful human insights that affect the trajectory of the brands we serve. Suzanne joined SCC in 1998, working as a creative, creative director and executive creative director. Shifting gears, she co-authored the IP for our planning process and spearheaded our renewed focus on human insights. She has been an invaluable part of successful campaigns for the National Pork Board, Allen Edmonds, Santa Margherita Wines, Solo Cup Company, Seven Daughters Wines and Advocate Health Care, among many others. 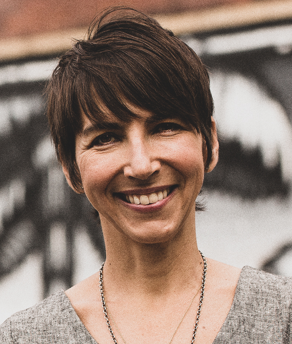 A native Canadian, Suzanne holds a Ph.D. in Political Philosophy from Vanderbilt University – appropriate training for a life dedicated to the art of persuasion. An award-winning writer and creative leader, Denny's work can be seen all over the world in dozens of languages. With his ability to leverage culture and human behavior to craft powerful, compelling brand messages, he can make a jar of dirt a ‘must have.’ Denny's collaborative nature, innate curiosity and ability to see a client’s business through the eyes of the consumer have helped him lead work for brands such as Pepsi’s Mist TWST, Chicago Cubs, Eckrich Meats, Southern Comfort, Friendly’s Restaurants, First Midwest Bank, Rotary International and the Ad Council. Prior to SCC, following stints at Doner and Grant/Jacoby, Denny co-founded Romani Bros., which merged with SCC in 2008. A graduate of Northwestern University with a degree in Theater, Denny is a busy guy outside of SCC. You can find his children’s book – Robots Everywhere – on Amazon. He also writes a weekly column for the local Glenview newspaper, The Lantern. 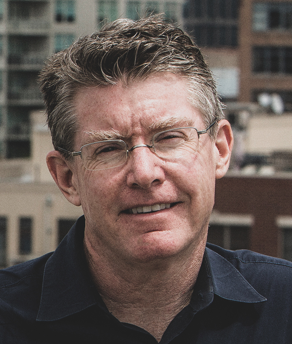 Mike brings creativity and executive-level counsel to clients across the agency. He has helped drive digital transformation for our clients and leads our PR, Influencer and Social Media practice. His forward-thinking, genre-busting approach has led client/agency teams to multiple awards including two Public Relations Society of America Silver Anvils and an Effie for ‘Most Innovative Product Launch’ from the American Marketing Association. 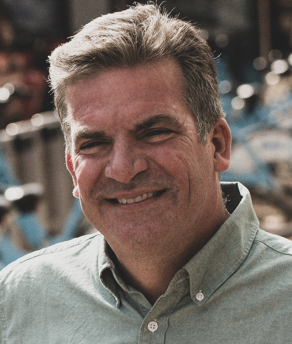 After coming up through the ranks of Edelman, Burson-Marsteller and Porter Novelli, Mike was tapped by Leo Burnett to build and launch the agency's PR practice. He grew Leo Burnett PR into a powerful force and, when Publicis Groupe bought Leo Burnett, Mike merged his unit with MS&L and assumed the global role of Chief Integration Officer for the combined organization. 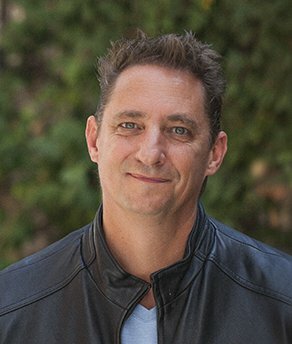 Mike is active in the industry and has helped shape professional training programs, including crisis and issues management at the University of Southern California, integrated marketing at Northwestern University, and marketing and business management at the University of Chicago. Mike is a long-time Blackhawks and, gulp, White Sox fan. Analytics and customer data mining, market segmentation and sku rationalization, channel and trade strategy, brand architecture and customer journey mapping. These are a few of Gwen’s passions. Across categories, industries and business models, Gwen's thoughtful, inventive approach solves problems and creates opportunities at the business enterprise and brand level for our clients. Gwen's first job was in the marketing department of the National Pork Board just in time for the launch of the iconic ‘The Other White Meat’ campaign (ironically, Gwen's strategic work at SCC led to dismantling that campaign in 2010). Later she moved agency-side, working on Tyson and Frito-Lay. 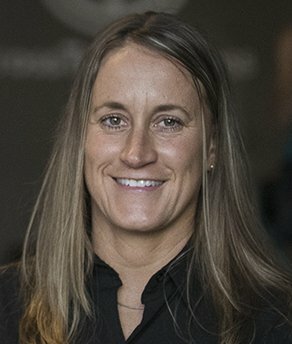 Gwen landed at SCC in 1998 and has been posting wins ever since. Her client resume includes General Mills, Johnson & Johnson, Chicago Cubs, Hershey’s, Procter & Gamble, National Pork Board and Solo Cup. A graduate of Iowa State University with an MBA from Southern Methodist University, she is a 20-year volunteer to the Iowa Girls State program, spending a week every summer mentoring 250 17-year-olds as they develop citizenship and leadership skills. The backbone of agency operations, from finance to HR to legal to compliance to administration, Greg joined SCC as a young’un back in 1995 and still has his boyish good looks and boundless energy. Lots and lots of energy. Greg began his career with an internship at Chiat Day that confirmed his love for advertising. He then joined Ketchum Communications working on Allstate Insurance where he met Gail Carter, who eventually brought him to SCC. Greg worked his way up managing businesses including the National Pork Board, Solo Cup, Ste. Michelle Wine Estates, Kicker Audio, Swift & Co. and Clark Retail Enterprises. As SCC continued to grow and we needed to shore up internal systems, Greg was the natural choice, given his firsthand knowledge of everything we do and how we do it. Greg is a Purdue University graduate and, while he may not be a scratch golfer, he’ll likely outdrive you by 50 yards every time. If you want to set KPI goals and beat them, it's good to have someone like Erika on your team. Her high idle intellect and proactive management style bring unique value to every business she engages. Erika's resume spans diverse brands and businesses including CPG, consumer goods, retail, e-comm, financial services and B2B verticals. Erika started her career at Performics where she was responsible for planning and management on clients including Barnes & Noble, Bose and Wells Fargo. 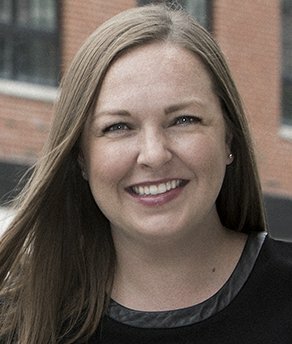 Since joining SCC in 2010, she has partnered with the National Pork Board, Santa Margherita Pinot Grigio, Solo Cup, First Midwest Bank, Campbell’s, Chicago Cubs, Advocate Health Care and Southern Comfort. A graduate of Loyola University, Erika is part of the SCC Operating Committee. Crazy timelines? Strapped budgets? No biggie for Bannon. With his extensive background as an agency-side producer at Leo Burnett and client-side at ConAgra Foods, his portfolio includes award-winning creative for clients like Coca-Cola, Disney, Nintendo, McDonald’s and Procter & Gamble. An avid lover of film and golf, he considers Caddyshack a true classic. 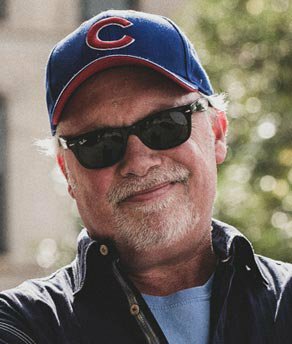 As a multiple Cannes Lion winner and a slew of other U.S. and international film awards to his credit, Leroy was an A-list director based in Chicago running Koetz & Co., when he shot SCC's first national TV commercial in 1990 for Cat's Pride Cat Litter. It started a relationship that is approaching 30 years. Lucky for SCC. As a creative, a director, a producer, an editor, an eye to making something good into something great, a mentor, an advisor, Leroy is a force majeure. Leroy decided to go out on top and close down his production company in 2004, bringing with him substantial commercial production credentials. His campaign for P&G's Cheer brand detergent is legendary, ranked by both Ad Age and TV Guide as one of the top 50 of all time and also recognized by AdWeek as one of the top campaigns of the 1990s. Mark and Tim asked him if he'd like to help produce a package of spots they were getting ready to shoot in LA, and the gig just kept going. 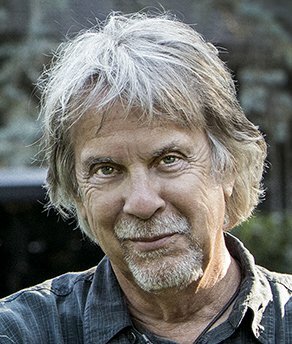 Leroy has been the man behind SCC's production capabilities ever since and has earned plenty of hardware here as well–Addys, two Clios and an Emmy nomination in 2017 alone. Leroy is a busy guy. A talented musician, he plays with several bands. He also independently produces, directs and edits comedy short films with a group of former Second City collaborators. 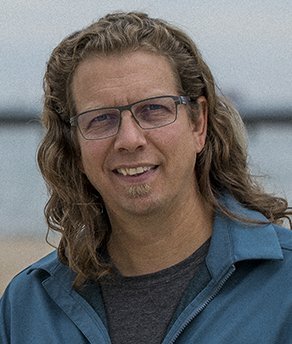 He has taught in film and production at Columbia College, rides a bike or motorcycle to work almost every day, boats whenever he can, is an avid photographer — and is continually trying to finish several paintings he’s started over the years. Phew. If you want something done right, you can do it yourself, or better yet, get Rob. Rob's discipline and thoroughness keep three critical time-sensitive SCC departments in good order. He oversees SCC's design studio that includes imaging, keylining and all pre-press/pre-production needs for client projects; the traffic department which cuts across all media and platforms; and our production department which handles everything that isn't video. Rob has amassed a wide range of expertise that makes him invaluable to the agency and our clients. Rob has worked in the broader marketing services industry for over 25 years. Before SCC, he freelanced as an art director, photographer, retoucher, and illustrator, as well as working full-time for local newspapers, marketing, advertising & pharmaceutical agencies. His brand resumé includes Farmland, John Morrell Food Group, Land O' Lakes, Pepsi, Miller Brewing Company, Bosch, New Chapter Organics, Walgreens, Sprint and Kellogg’s – just to name a few. A big Bears fan, when he isn't at Soldier Field or SCC, Rob can be found outdoors--swimming, paddle boarding, mountain biking, or snowboarding. Few people light up the energy in a room like Amy Cesta. Her enthusiasm and love of what she does are palpable, and it is contagious. Another one of SCC's longtime team members of 10+ years, Amy has gone from one of our best client managers to one of our best client leaders–and there's a difference. With a cultural sensibility shaped by travel, politics, music, entertainment, sports, and media, Amy is anything but a conventional thinker. She has an intuitive sense of how a brand fits into the marketplace, and how to make it fit better. 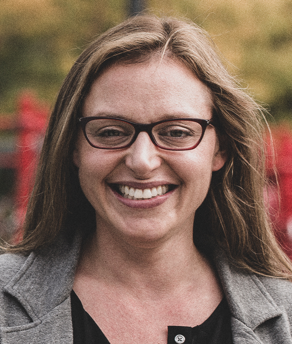 In her early career, Amy was designing and implementing high-profile buzz campaigns for leading brands at Six Degrees, Inc., a Chicago-based word-of-mouth marketing agency. She was then recruited by Viacom as a young executive on the affiliate sales and marketing team at MTV Networks where she developed and implemented integrated campaigns for the flagship network and its subordinate brands. Amy then joined SCC in 2007, after recharging on a four week trip across Africa. Amy is a consummate "foodie” with over 150 cookbooks. She is a triathlete and an adventurous traveler. She has a BA from the University of Notre Dame in American Studies. Having been there and done most everything in her career, Kristin Glunz brings a steady hand and sharp intellect– important traits in the high-stakes world of CPG marketing. Kristin blends those qualities with sharp instincts on strategy and an eye for great creative. A relative newbie at SCC with only two years here, Kristin has spent the majority of her 20-year career working on consumer packaged goods. And she's pretty darn good at it. 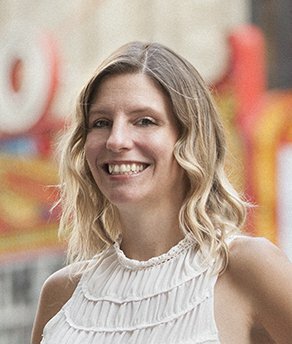 Kristin's career began at Grant Jacoby and then Leo Burnett before she was recruited to Element 79 to work on Pepsico's Quaker brand portfolio. She then went to Abelson Taylor and ran the CPG brand side of the business including Similac and PediaSure brands. At SCC she manages our Health & Wellness portfolio, including Johnson & Johnson, Procter & Gamble's New Chapter brand and Advocate Health Care. A Miami University grad, Kristin is both a runner and a foodie finding the delicate balance between living healthy and enjoying life to the fullest. 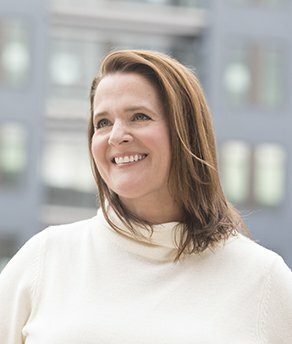 With over 20 years in advertising and integrated communications, Rebecca has applied her passion for brand strategy to large integrated campaigns across traditional media, digital, social and sponsorship. She has managed international production, worked in Hollywood and even walked a red carpet, but her heart brought her back to the Midwest. Before joining SCC, Rebecca spent nearly a decade working with the Interpublic Group of agencies on financial services and Fortune 500 industrial business. At DDB Chicago she managed integrated Effie-winning campaigns for State Farm Auto and Life Insurance. Her experience also includes brand work with Morton Salt, Walgreens, The United States Postal Service, Cracker Barrel Old Country Store, and Mead Corporation among others. 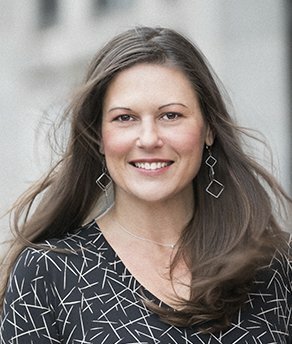 At Dailey in Los Angeles, she worked on Weyerhaeuser Forest Products and then Intuit (TurboTax, Mint), managing integrated digital programs while part of the leadership team for offline strategy and overall brand development. Veronica (or "V" as she is known around the office) is a dynamic, results-driven Account Director with 13 years of high-profile brand experience under her belt. V has been with SCC for the last eight years, bringing her enthusiasm and lending her leadership across several SCC clients including Pepsico, Portillo's, Friendly's Restaurants, First Midwest Bank and Rotary International. Her career started in account management at Doner where she served on The Cleveland Clinic, INVISTA Performance Fabrics (Lycra and Teflon) and Buffets Inc. Upon moving to SCC, she continued to hone her integrated marketing leadership skills across a diverse set of brands and categories. 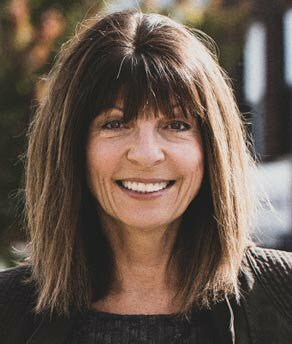 In addition, Veronica has a passion for the charitable sector and has served as lead on a number of non-profit businesses including Rotary International, the American Heart Association, and Scott C.A.R.E.S. She takes great pride in this work knowing that the ultimate objective is the betterment of life. V is a busy, engaged member of the Chicago community. She’s an avid runner, yogi, and reader, She's passionate about food, drink and music (both listening to music and playing instruments). A relative newly-wed, Veronica lives in the city with her husband. Restlessness, a sense of urgency, a strong understanding of business and a keen wit are four things that Ron Sone will never be without. Good traits for a creative director on your business, to say the least. 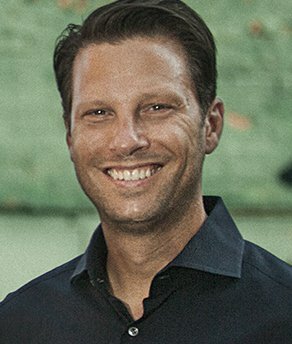 Ron has been at the intersection of plenty of good work that's been coming out of SCC in the last decade, including his role as a Creative Director on the Chicago Cubs brand. With 20+ years of experience, Ron's applies insight to imagination, creating powerful ideas that have real impact on his clients' businesses. 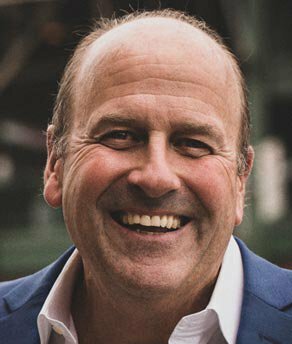 Ron started his career at what was then Schafer Condon, then left to hone his skills as Creative Director at shops including ZLR and The Meyocks Group, where he helped lead work for T-Mobile's I Wireless, Hy-Vee Food Stores and the Iowa Lottery, to name a few. He was also previously a partner at Portland, OR-based Surge Marketing, an interactive creative shop that specializes in web development and digital marketing before coming back to SCC and racking up results– and a number of awards. Ron is a graduate of Southern Illinois University, and one of the many avid musicians at SCC. And when it comes to Beatles vs. Stones? The Stones. No contest. Megan is a joy to work with on any project. She's whip-smart and chameleon-like in her ability to adapt to the challenge at hand regardless of brand, category, channel or business model. She gets it. Fast. And not only does Megan bring a super-tasty art direction and design aesthetic, fantastic typography and color palettes to the party, she's also a pretty darn good writer. 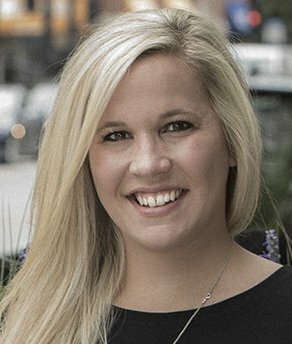 Megan started her career on the design side, working at some of Chicago's boutique design firms before getting into conceptual art direction at SCC in 2006. She was a quick study and before long she was leading key creative assignments for SCC clients, marking her rise to Creative Director. Megan has been the creative force behind Friendly's Restaurants, Kerrygold, Portillo's, and a contributor to many others. Megan graduated from the University of Wisconsin with a BS in Fine Arts and Graphic Design. Another foodie in the house, Megan enjoys exploring Chicago cuisine and trying out recipes on her husband and two children. Michael brings a thoughtful, polished, powerful aesthetic to his creative work across brand platforms. A 20-year industry veteran, Michael joined SCC in 2011. His collaborative approach and easy-going manner make him an asset to any brand he gets involved with, but Michael will also challenge the status quo and motivate everyone around him to make good work even better. SCC's award-winning work for the Cubs is a great example of Michael's influence. His career began as an Art Director at Leo Burnett, where he worked on brands such as Procter & Gamble and Allstate Insurance. 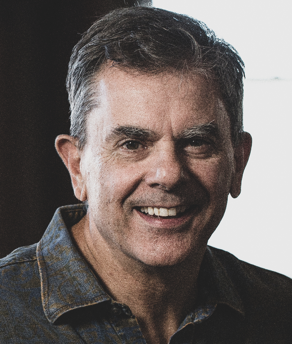 Michael then moved to Chicago Creative Partnership as Creative Director for the Bob Evans brand–both the casual dining chain as well as the CPG portion of the business–overseeing everything from broadcast to in-store marketing. Michael has been instrumental on SCC's campaigns for the National Pork Board, Terlato Wines, and the Chicago Cubs, and his work has earned him numerous industry awards. Michael is a graduate of Eastern Illinois University with a Bachelor of Arts in Graphic Design. Michael's skills, energy, and artistic interests keep him busy on all sorts of things outside of SCC. His big, lovable St. Bernard, Violet, is a regular visitor and a favorite of the staff at SCC. Cristen is a pure creative talent built for the business of advertising and persuasion. Her ability to take a dry strategy statement and turn it into a range of dynamic brand ideas is truly remarkable. She makes brand planners–and copywriters look very, very good. She's also a fun person to share a bottle of Chardonnay with and ponder the world we live in. 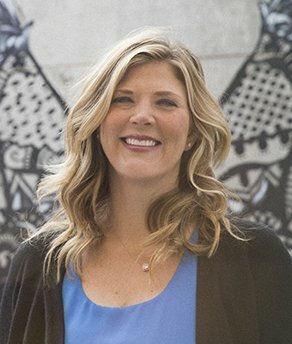 Cristen started out at Chicago agency Grant/Jacoby, and she was subsequently recruited by Denny Hebson and Chicago creative icon Bernie Pitzel to join Romani Bros., to work on the ATA Airlines account. When Romani was acquired by SCC, we were fortunate to have Cristen join us as well. Cristen's impact at SCC can be seen across many client businesses. Pepsico, Procter & Gamble, Johnson & Johnson and Advocate Health Care to name a few. Cristen graduated from the American Academy of Art and lives with her husband and their young son, Ryan in the Northern suburbs of Chicago. One of the nicest, most gracious folks you'll ever meet, Colin Smith is also a formidable creative talent. Colin is an inventive, thoughtful and inspirational force of nature, and it shows in his aesthetic as an art director. Everything he touches ends up looking incredibly tasty and leverages his understanding of culture and human behavior. He is a source of big, powerful brand ideas. Colin started out as a junior at SCC in 2003 and quickly worked his way into a key art director role. Successes continued to pile up for Colin, and his easy-going management style and gift for mentoring juniors paved a path to becoming first Associate Creative Director, and more recently, Creative Director. At SCC, Colin has been involved in plenty of the agency's successful work, including the National Pork Board, Winona Capital, Rich's Foods and Solo Cup. Colin has a BFA, Graphic Design & Visual Communications from Ball State University and is a Dad to four fast-growing boys and a little girl. As Director of SCC Design, Melissa's purview starts with every image and piece of produced art that comes through SCC's production department. Whether it is a package design system for Procter & Gamble or season tickets for the Chicago Cubs, Melissa's expert eye is on it. Melissa's job is to understand the creative vision for a project and add value throughout its completion. From determining the best, most efficient way to achieve the desired outcome given the imposed constraints of the project, to the deployment the appropriate talent and tools to make that happen. She is a smart manager and an inspirational mentor, providing guidance and technical support to the agency beyond the Adobe Creative Suite. A 15-year SCC veteran, Melissa's collaboration with other departments to develop better, more efficient means of getting the job done has helped SCC throughout its growth. For Ben, the right question isn’t ‘What do you want?’ but ‘What are you trying to accomplish?’ Beginning his career in Client Leadership, Ben partnered to create insight-driven integrated campaigns for brands including RedBox, Farley’s and Sathers Candy Company, the National Pork Board and Friendly’s Restaurants. With his hunger for new challenges and passion for the digital space, he raised his hand to oversee SCC|digital – spearheading project success, operations, and business development. For Ben, a smart digital strategy is all about connecting brands and humans at the right place, at the right time, with the right messages and experiences. When not talking implementations, integrations, and configurations, Ben plays house and sings Disney songs (poorly) with his talkative three-year-old daughter and newborn son. At SCC, Talent Experience, aka TX, is a dynamic force within the organization and a critical link to finding, retaining and developing the creative and technology talent that fuels SCC's success for its clients. Amy joined SCC just as the agency was starting on its digital transformation. There was no HR department yet, so she dug in and started to implement best-practice processes and procedures across the needs of the organization. And since SCC was growing rapidly, Amy quickly built out a team that is heavily involved in recruiting across SCC departments. The agency has nearly doubled in size since Amy arrived. Amy’s road to HR was not typical; an art and lit major, Amy learned the business while working for a prominent Chicago law firm during college, graduating with a BA in English Literature thereafter. A born networker, she began her career as an ad agency recruiter, later assuming roles managing both HR and Recruiting. Looking to get back to her creative roots, Amy joined SCC in 2013. Stepping off the elevator, she knew SCC was the perfect blend of culture, talent and rock n’ roll for her not-so-traditional HR background. Today, Amy enjoys the same work/life balance she works to enable for everyone at the agency, spending time with her husband—and the never-relaxing life being a boy-mom to her spunky redhead. While the creative side of the agency business tends to be loose and subjective in nature, the financial management side of the business needs to be in black and white and tight as a drum. Tara’s department has been rock-solid part of SCC since she rose to become the department’s Director. Tara started at SCC over 11 years ago as an accounting coordinator and quickly showed that she had the tenacity and attention to detail required to run every aspect of SCC’s financials, which involves not only SCC but SCC’s many other entrepreneurial ventures. Tara’s intelligence and drive have helped SCC evolve its financial acumen to a highly-sophisticated level, keeping revenue, cost FTE headcount and freelancer numbers in alignment to maximize profit as the agency continues to invest in areas of growth. She is responsible for all financial functions including managing cash flow and projections. Before SCC, Tara was an accountant in the logistics and transportation industry, which gave her great insight into SCC’s needs for just-in-time matching of resources with revenue opportunities. Tara graduated with a BS in Accounting at Saint Xavier University where she also played D2 fast-pitch softball. She is an avid Cubs, Hawks, and Bears fan. An animal lover at heart, she has three standard poodles that are AKC conformation champions and a cat that she rescued in the middle of a terrible Chicago blizzard. If you have a financial or dog related question, Tara is your go-to person. Originally from Minneapolis, Paige moved to Chicago and joined SCC in May 2007. In her time at SCC, Paige has worn many hats. 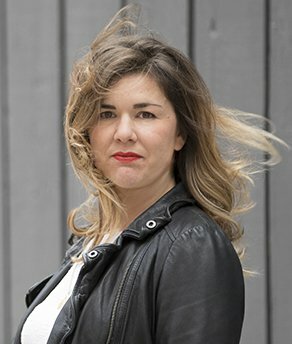 She has gained experience in public relations, traditional advertising, and social media, providing her with a broad marketing resume and a unique perspective to marketing. 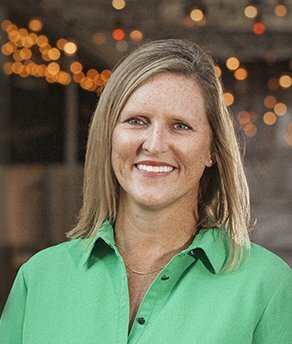 Paige currently manages a portfolio of wine brands, including The Federalist, Seven Daughters, Terlato Vineyards, as well as the corporate branding initiatives for the parent company, Terlato Wines. As an avid foodie and wine lover, these accounts are a perfect fit for Paige. In addition to her burgeoning wine knowledge, Paige handles public relations for Allen Edmonds, one of the last remaining U.S. shoe manufacturers. Her dedication to this account over the last 6 years has earned impressive results including placements in the New York Times, Wall Street Journal, Fortune, Bloomberg, GQ, and Esquire, as well as a live remote on CNN. Paige's easy-going leadership style and ready laughter allow her to develop strong, trusting relationships. She earns the respect of her colleagues and clients through insight, dedication, and strategic thinking; all the while striving to do the best work that solves the most important business problems. 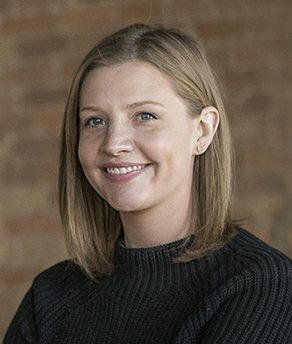 Paige earned a bachelor’s degrees in journalism and mass communication with an emphasis in strategic communication from the University of Wisconsin-Madison. She loves spending time at her family’s Northwoods cabin in Osceola, Wisconsin, and making an annual ski pilgrimage to Copper Mountain, Colorado. Laura is a tenacious PR professional who currently spearheads the development and execution of marketing communications and media strategies for Terlato Wines, Seven Daughters, Stetson (hats), and IDEAL Industries who above all else, believes in the power and necessity of the all mighty third-party endorsement via editorial coverage for clients. In the past, Laura has also managed PR programs for a variety of CPG brands including Kerrygold Butter and Cheese, Santa Margherita Wines, Hershey's, Beam, Robert Bosch Tool Corp., and Master Lock. Her passion for crafting the perfect campaign to meet client goals and effectively engage consumers to make a real impact on a brand's bottom line has fueled her career from day one. Laura is adept at delivering the right story at the right time to the right media. Her attention to detail while keeping the big picture always in mind combined with her ability to build strong, productive relationships with team members and media alike have allowed her to capture significant headlines for her clients. When not at the office, you can find Laura in the kitchen trying to perfect the classics (think roasted chicken and risotto) or hanging out at the barn, grooming and riding horses. A huge sports and sports radio fan, she loves a good 30 for 30 movies and a bout of college football mascot trivia.